We had really enjoyed our bike ride around Eugenia Lake, but now we were definitely getting hungry. 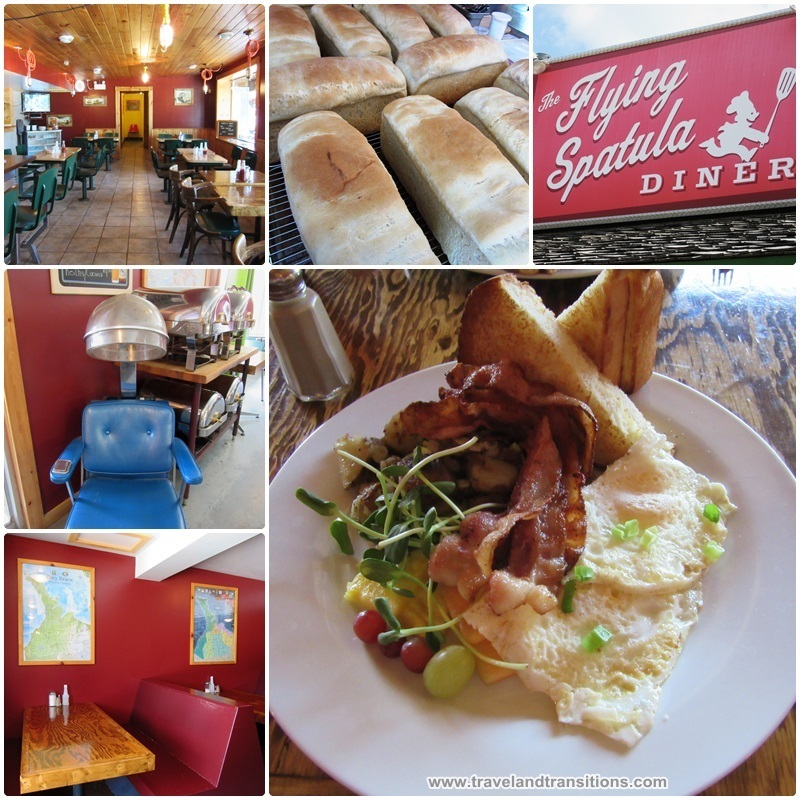 As part of our explorations of Grey County we stopped in for lunch at the Flying Spatula, a country diner on the outskirts of Flesherton. This popular eatery is owned by chef Shawn Adler who also owns the Flying Chestnut Kitchen in Eugenia and serves all-day breakfasts, fresh-to-go sandwiches, hearty lunches and dinners. We decided on a standard two-egg breakfast that came with toasted home-made bread that had a slightly sweet taste to it and provided a filling meal after our bicycle tour around Eugenia Lake. Other popular dishes at the Flying Spatula include fish and chips, various types of fresh sandwiches (Montechristo, club and turkey sandwiches), rib dinners, homestyle burgers and other traditional family fare. We continued our drive into the country village of Flesherton, a community with about 700 people that was first settled in the 1850s. Flesherton was originally believed to become an important economic centre in the region but when the railway lines bypassed it in the 1880s growth stagnated and Flesherton remained a small village. The town is named after William Kingston Flesher, a British immigrant who came to the area in 1853 and built a saw mill and a grist mill on the Boyne River. Flesherton has another important historic connection: Canada’s first female member of parliament, Agnes Macphail, was born nearby and elected to the House of Commons in 1921. The historic Munshaw Village Inn, today a bed and breakfast, is housed in a heritage building that dates back to 1845 while the South Grey Museum highlights and explains local history through objects, photographs, stories told by local people and genealogical records. Flesherton is often referred to as the “Gateway to the Beaver Valley”, a scenic river valley that is framed by the Niagara Escarpment and stretches all the way to Thornbury on Georgian Bay. 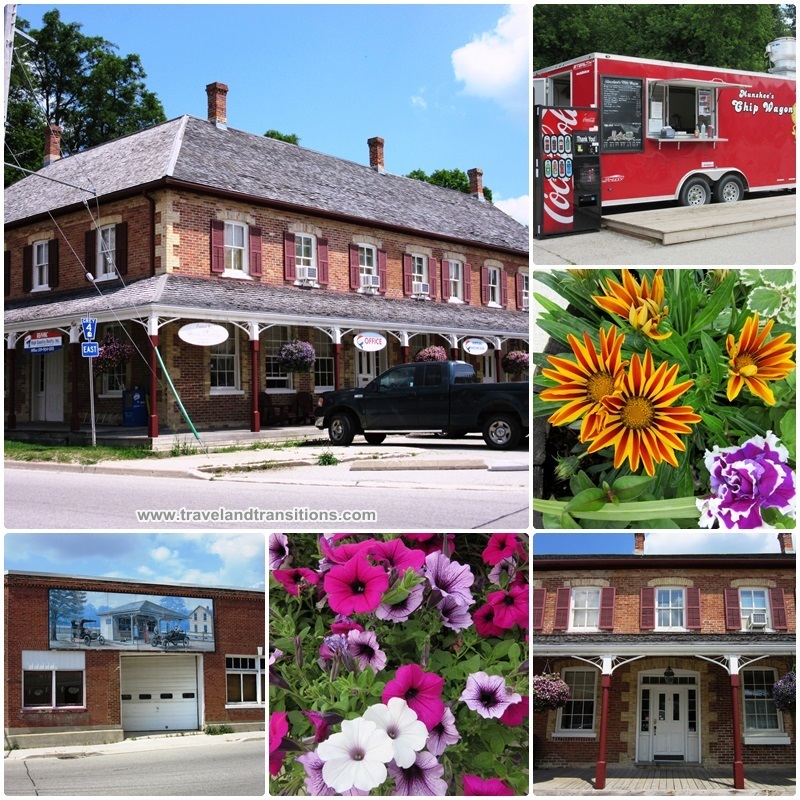 Flesherton has a nice main street with a variety of attractive cafes and stores. 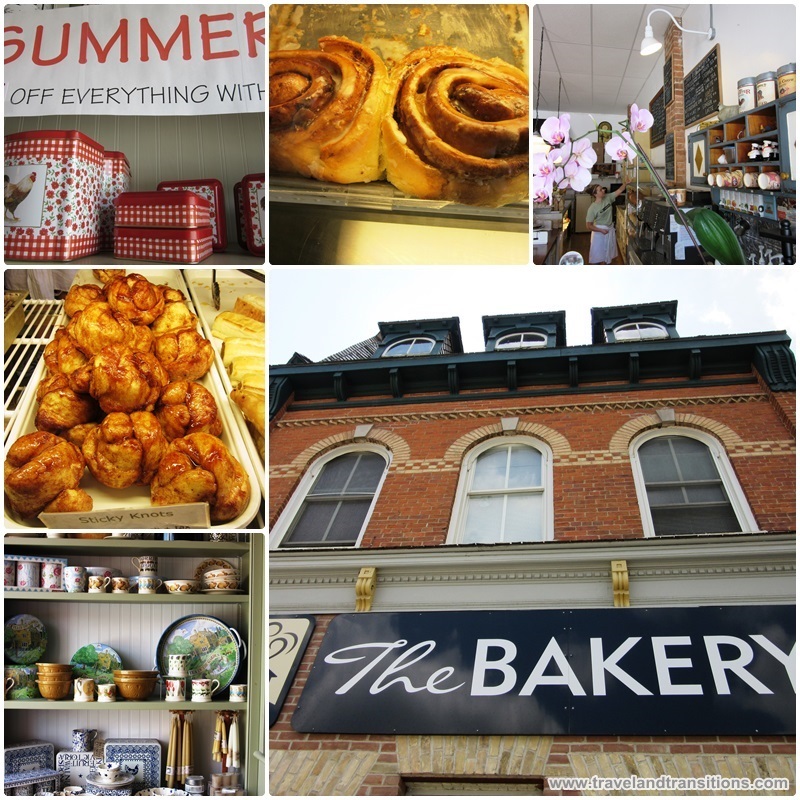 The Bakery is located in a historic Victorian building at the main intersection in town and specializes in freshly baked goods that are preservative free. Their healthy breads are high in fibre and one of the most recent additions on the menu is the Flesherton sourdough bread. Of course, anybody with a sweet tooth will also get their fill with the cinnamon buns, sticky knots, butter tarts and cookies. Fair trade coffee, organic teas, home-made doughtnuts and an award-winning grilled cheese sandwich round out the offerings at the Bakery in Flesherton. 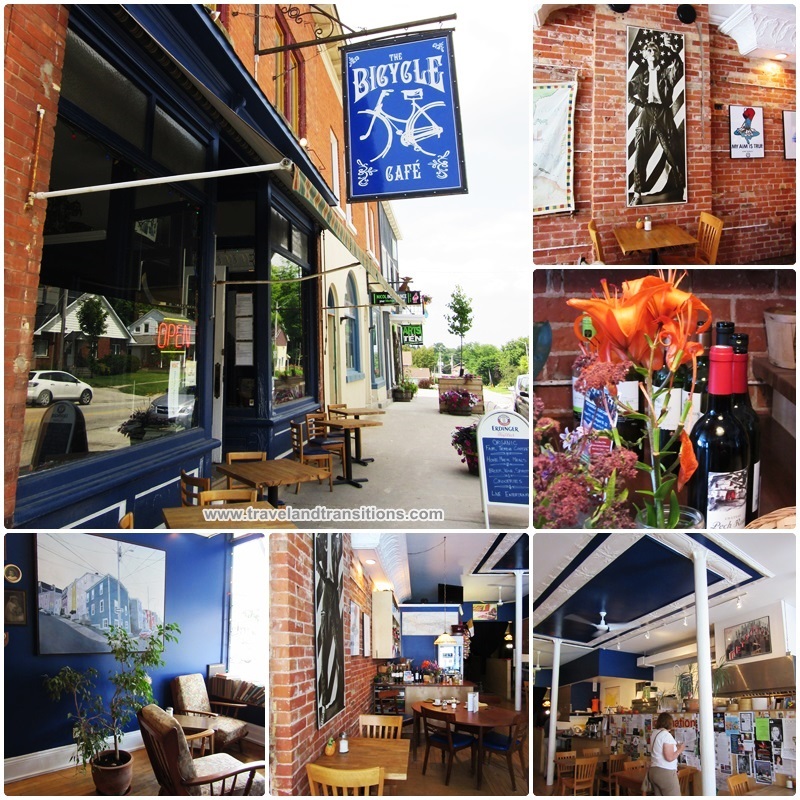 During my walk on the main street of Flesherton, I dropped in at the Bicycle Café, a café and bar that specializes in comfort food. The Bicycle Café has a nice patio for people that want to watch what’s going on on the main street and it also has relaxing sitting areas inside. The café features fair trade coffee, ethnic grocery items and hot sauces as well as lunches and dinners that are made from fresh local ingredients. Among the specialities at this Grey County eatery are dishes like the steak sandwich and perch on a bun while the more exotic items on the menu include curry, African stew, congee and Asian dumplings. For people with dietary restrictions the Bicycle Café offers vegetarian, vegan and gluten-free choices. Live music happens on most Friday nights and the café also entertains its customers with film and board game nights. The royal blue décor is striking and an original tin ceiling, now painted white and blue, adds an eclectic touch to this contemporary eatery with its historic surroundings. Continuing my walk along the main street of Flesherton I made a stop at another café: Highland Grounds, a fair trade coffee shop that provides light meals, home-made bread and baked goods. The menu includes dishes such as tuna melt sandwiches, pulled pork on a bun, chicken bacon & cheddar sandwiches, lasagna, mac & cheese, meatloaf on a bun and soups that are fresh daily. Espressos, lattes and cappuccinos delight the guests while the retail section provides fair trade coffees, teas, cocoa, sugar, fruit, nuts and oils are also for sale. The striking red and white 50s diner style benches definitely caught my eye. 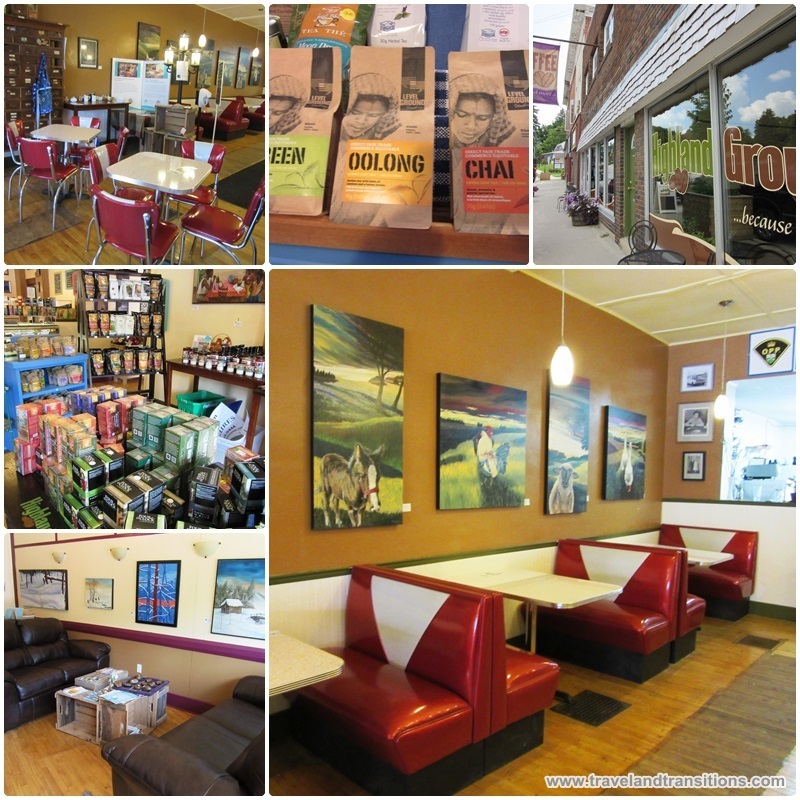 With Wifi Internet access, Highland Grounds makes for a nice place to relax before exploring the Beaver Valley. 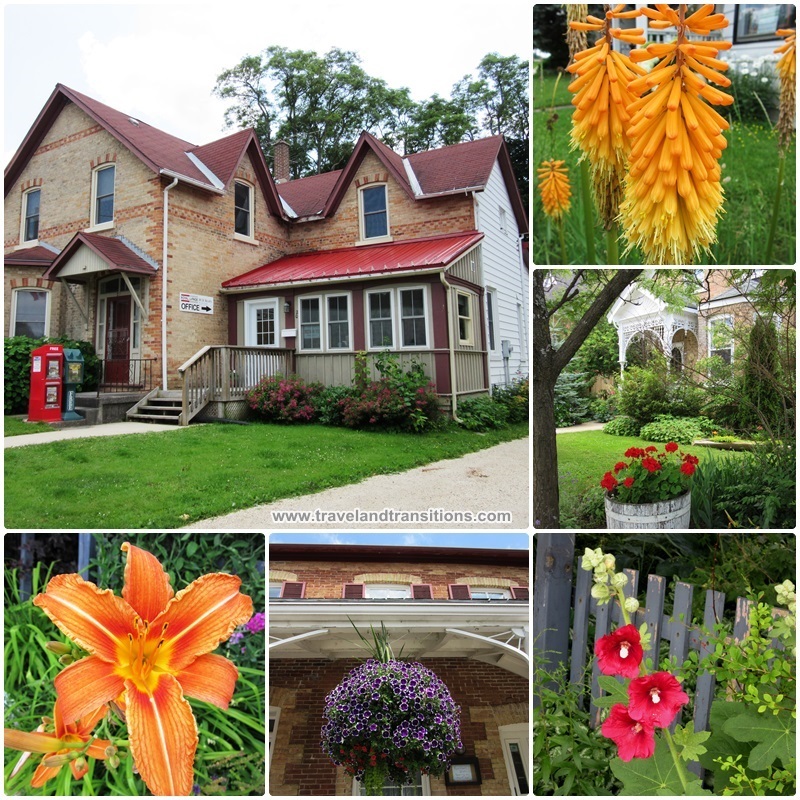 Walking eastwards on Flesherton’s Main Street I walked past various historic homes, some of which must be owned by passionate gardeners. All sorts of gorgeous perennial flowers were adorning the front lawns and spilling out onto the sidewalk. Flesherton and the surrounding Grey County area provide great opportunities for scenic drives amid the rolling hills and the more dramatic topography shaped by the Niagara Escarpment. Fresh local produce is available from producers throughout the area which includes cheese, apples, honey, berries, fresh vegetables and mushrooms. Local fruits and veggies, prepared foods, premium meats, baked goods and artisan crafts are on sale every Saturday morning at the Flesherton & District Farmers Market. Given its tranquil atmosphere and inspiring surroundings, this small village often serves as a jumping off point for people travelling into the Beaver Valley, and many artists and musicians have made Flesherton their home. Next on our travel plan were discoveries in the Beaver Valley so we would get to see the scenic beauty of this river valley first-hand.